Three beer and wine gardens on-site feature regionally-brewed beers and locally-made wines for your drinking pleasure. 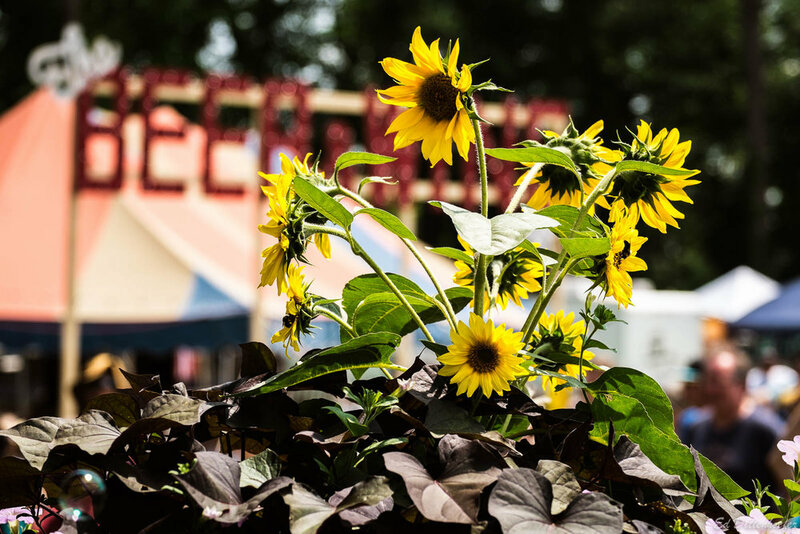 Find them near the Grandstand Stage on the track, to the right of the Infield stage, and in front of the GrassRoots World Café just across from the Art Barn. Grab dinner and a drink or just enjoy the company of a friend while tunes from the stages croon across the way! ID is required. Must be 21+ to drink. Love hard cider? Cider curious? GrassRoots is nestled right in the heart of craft cider country, and you can taste the best of what our community has to offer right here at the festival! On Saturday, join producers from five Finger Lake farm cideries at the World Café Beer & Wine Garden to try their delicious, small-batch, artisanal ciders. Feel free to bring your own beverages to the festival!... Just not in glass bottles. Larger glass bottles and juice bottles are okay, no glass beer bottles are allowed inside the fairgrounds. Coolers are inspected at the gate. Naked feet are the number one victim of broken glass, so let's all try and keep the festival clean and safe for everyone. We ask that you put all beverages in a cup or koozie. If you are spotted walking around with a can of beer or something else of that nature, our nice security people will simply ask you to cover it up, or hand you a cup. It's not something we're militant about. We started keeping drinks "under wraps" a few years ago and the whole festival vibe became even more pleasant than it already was. It was a beautiful thing, so thank you for helping us keep it that way! And, if you're looking for a koozie (or don't know what a koozie is), head right on over to the Merch Barn. We have some GrassRoots ones available, along with some other things you might need.